UN Headquarters was closed for three days due to the effects of Hurricane Sandy in New York City but the work of the UN continued worldwide and many UN staff were able to work from home, maintaining communications with people around the world and the UN’s partners to the extent possible as well as to provide information and services to Member States and colleagues in the field. According to a spokesperson, despite disruptions, all essential operations went ahead, including a meeting of the Security Council, and contacts with peacekeeping and other missions around the world were maintained without interruption. On Friday, many UN staff living in the region were still without power at home or faced difficult commutes from Long Island, Brooklyn and New Jersey and other locales to get to work even though the Headquarters complex officially opened on Thursday. Staff who are unable to make it to the UN’s midtown Manhattan offices have been encouraged to work remotely and to be flexible due to transportation issues and family care obligations. During the storm, the UN complex sustained damage due to high wind and flooding, which affected communications — including websites and databases — and other infrastructure. 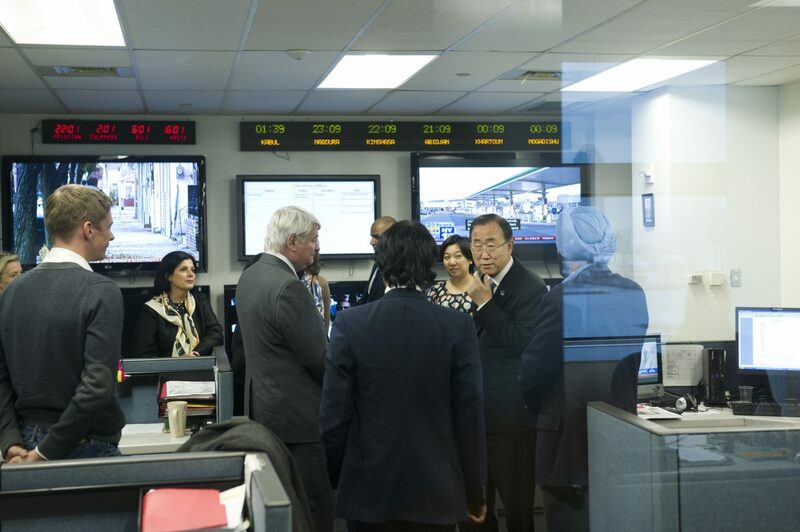 This week, the Secretary-General toured the UN Headquarters to assess the damage and recovery efforts. More photos are available online from our UN Photo colleagues. PreviousSome of the week’s highlights — in photos!